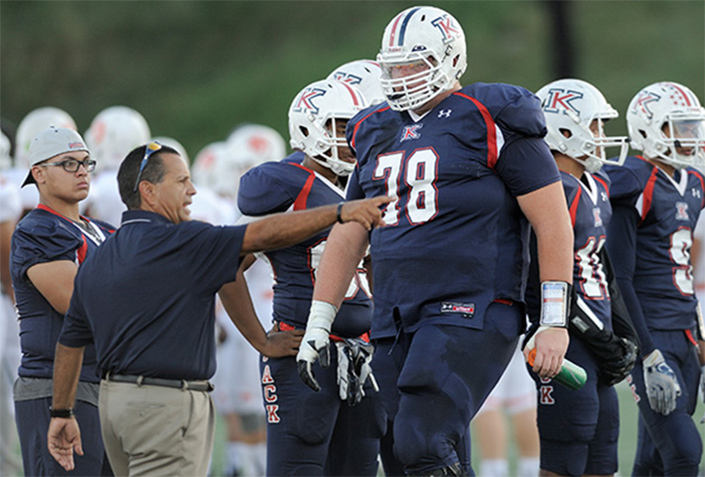 Cats signed a guy who is currently 380, told coach he'd be about 340 for spring. It’s looks like he is a better Guard than Tackle, despite not seeing much Pass Blocking from the big man. He is going to set the pancake block record . Gonna be a load for someone on the D.
My thoughts exactly. Have him run block til the cows come home. 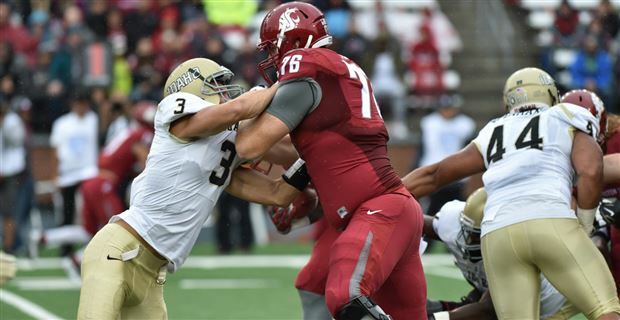 Washington State had a 6'9" guy just recently that made 2nd team All America at guard...he also had one of the all time nicknames "The Continent"
ISUr has JR LT at 6'10" 315 lbs Drew Himmelman ... made Hero all american as SO (done by class) and MVFC all conference (2nd team). Side note ... Himmelman played basketball and football in HS .. he was pretty good bball player, but was listed at 6'8" 225 lbs as HS SR (presumably fall 2015) ...he's put on 2 inches and 90 lbs in just over 3 years. He'll be a RS JR this fall ... NFL is watching his development - 2 year starter, and still got 2 years left ... very good footwork, long arms, and just a great frame for putting weight on. Washington State's O'Connell was 70 to 80 pounds smaller than this PSU kid. The ISUr kid is a century mark smaller than him. There's a lot of flexibility and movement that come with that difference in weight. Think of the agility difference between a player at 320 and then 250. Maybe he's a mold breaker - figuratively and literally. just a great frame for putting weight on. You're part of frame is a big part of it. Trim him down to 360 somehow and I'll buy it. I keep hearing a rumor it may be Clint Brown, the current DC from South Dakota State. tracked the WSU "kid" O'Connell ... as FR, he was listed at 6'8" 346 lbs; as SR he was 6'9" 368 lbs and 2 time all american. Himmelman was 6' 8" 285 lbs as HS SR (basketball roster #s). As ISUr FR he was listed at 6'10" and 305 ... and now at 335. He could easily support another 15 or 20 lbs. But from what I've heard, he struggles to put on weight and has very little body fat. O'Connell was also a freak, but had some body fat. We'll see where Himmelman is at come next fall. Our strength guy (and HC) are both a little too old school for my liking .. they are both the type that believe "more is more" .. when sometimes "more" is not healthy (benefits of allowing recovery stage) or optimizing performance. BUt Himmelman is a freak body/athlete and pretty smart, but won't likely ever add any body fat ... I'm guessing he likes being a little on lean side and might be able to gain 5 lbs per year at most. Last edited by Redbird 4th & short; February 12th, 2019 at 08:31 AM.